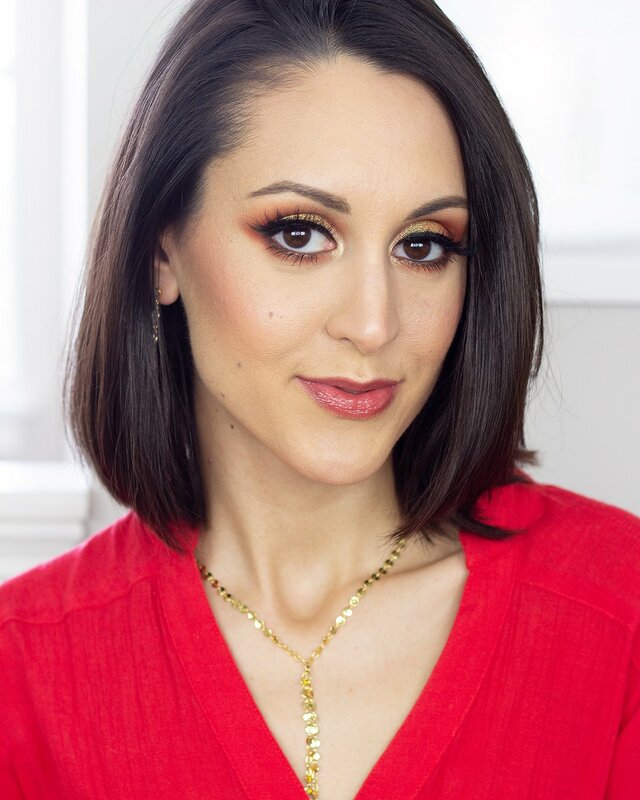 If there is one thing I’ve learned in the many years I’ve spent blogging about beauty, its to never underestimate the importance of a good makeup brush. Not only do they make application easier and faster, but they can also take mediocre products and help them perform even better than expected. Now, as much as I absolutely love brands like Sigma and think they’re worth the investment, I also know that dropping $120 on a set of brushes is something that not everyone has the means or the desire to do. And that’s where Juno & Co. piqued my interest. From the moment I saw Kim Nuzzolo unbox one of their PR packages on her channel, I knew I needed to get my hands on these brushes. With a retail cost of only $2 a piece, they seemed almost too good to be true. And while I would have happily purchased these brushes myself, the brand was ever so kind to gift them to me to review. After having several weeks to play around with the Juno & Co. brush collection, I’ve got plenty of thoughts to share. So if you’re curious to learn more, keep on reading! Who is Juno & Co.? 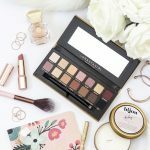 Juno & Co. is an online beauty retailer based out of California with a focus on affordable products. 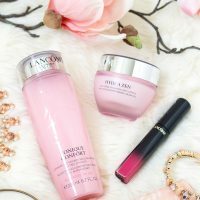 They carry a number of popular drugstore brands like Milani, L.A. Girl, and Beauty Treats, among other lesser known names. 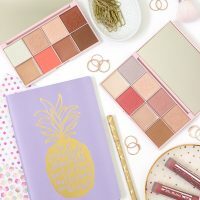 In addition to these products, they also have their own exclusive line of cruelty-free beauty tools and lashes. 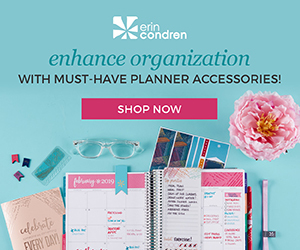 I am an affiliate of the brand, which means that if you click the links in this post and make a purchase from their site, I’ll earn a small commission (thank you in advance if you choose to do so!). 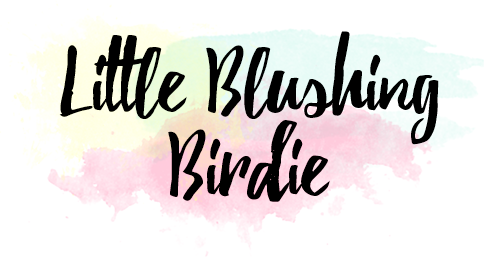 You can also save 10% on your order with the code BIRDIE at checkout. When it comes to critiquing brushes, there are quite a few criteria I like to consider. The first is how well the brush is constructed. 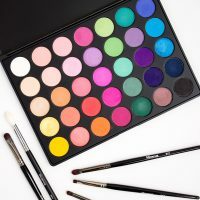 If a brush is constantly shedding, feels like its scratching your skin off, completely loses its shape after one wash, or is poorly glued at the ferrule (the piece where the bristles connect to the handle), it’s an immediate deal-breaker. Ain’t nobody got time for that. If a brush makes it past the basic quality check, the next thing I look at is its overall size, shape, and density of bristles. These factors ultimately separate great brushes from mediocre ones. If a brush is too stiff, too floppy, too large, or too small to apply product the way its intended, its not going to be able to perform the way that you want. 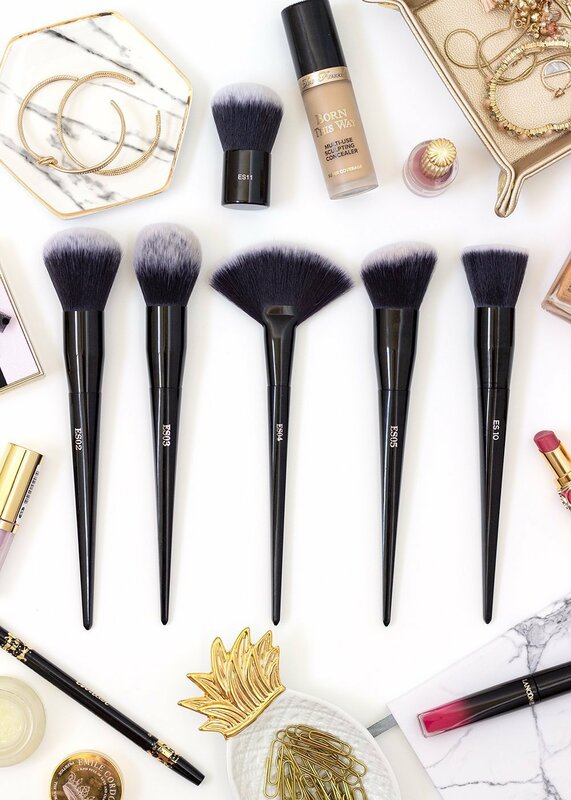 A good brush should make applying your makeup easier, not more of a challenge. And last, I always give brownie points for aesthetics. Appearance is definitely less important than functionality, but being pretty certainly doesn’t hurt. One of the biggest reasons I was so intrigued by these brushes is that they had an extremely high end look for a ridiculously affordable price tag. The two toned bristles and long, tapered handles were very reminiscent of Kat Von D, except at a tenth of the price. As far as quality goes, I think you are most definitely getting your money’s worth with these brushes. The bristles have lovely, soft feel, aren’t prone to shedding, and wash like a dream. They are also synthetic, making them friendly to powder and cream products alike (not to mention cruelty-free). I will admit that the handles feel a little cheap (you can tell they are hollow and plastic), but not to the point that you might expect them to fall apart. They actually are quite easy to hold and still manage to feel well balanced in the hand. When it comes to performance, my thoughts vary from brush to brush, so let’s take a closer look at each one. This is your standard flat foundation brush. I almost never reach for these types of brushes, so I ended up decluttering mine to a friend a little while back. The size and quality seemed perfectly adequate, so if you’re a fan of this style of brush it might be worth checking out (they’re also great for applying face masks!). If you’re someone that likes big, fluffy powder brushes, this one might be a little more dense than you’re used to. 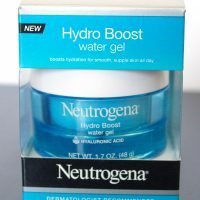 I particularly like using it with pressed powders, or to touch up targeted areas of the face. This brush is similar in size to the powder brush, but with a tapered shape. I find this is actually really nice for applying setting powder in the under eye area, and prefer it for that purpose over using it to apply blush. As someone that doesn’t reach for fan brushes often in my daily makeup routine, I haven’t gotten a ton of use out of this one. While I prefer a tapered brush for applying highlight, if you typically use a fan brush you’ll find this one to be a really nice size and construction. 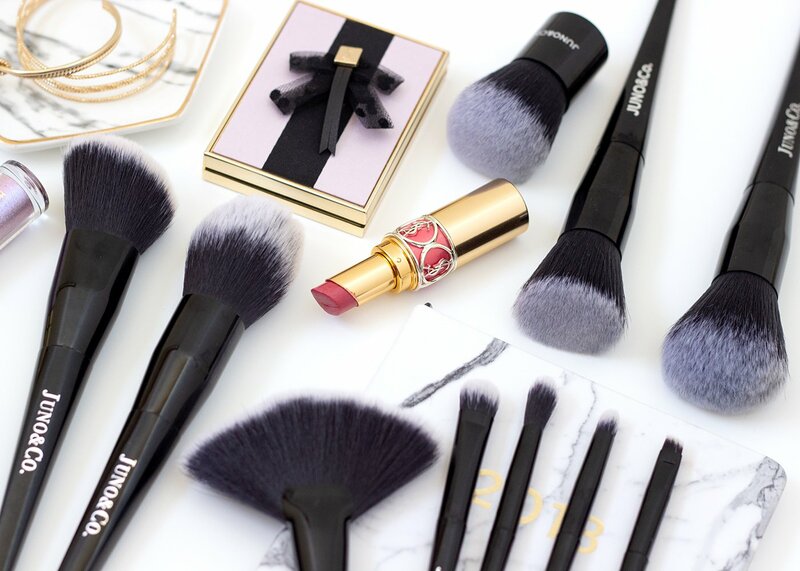 When it comes to applying blush and bronzer, this brush is definitely my preference. The angled shape makes it great for getting into the hollows of the cheeks. That being said, its a bit bigger and more dense than some other brushes I own, so it might not be suited for very pigmented products. This was the brush I was probably most excited for and also most disappointed by. For a flat-topped buffing brush, I find the bristles to be a bit too long and a bit too floppy for it to blend in foundation as well as I would like. It may work well for blending in cream blushes and bronzers, though. I’ve primarily been using this brush to apply my powder foundations and I think it works fairly well to buff product in. I’m used to using flat-topped kabukis, but will admit that the rounded cut of this particular brush makes it easier to get around your nose and eyes. This is your standard all-over-the-lid eyeshadow brush. It’s got a little bit of fluffiness to it, but is largely best suited for packing on color as opposed to blending. The bristles are smooth, but a little stiff, which makes it fairly easy to pick up metallic or shimmery shadows. This is probably my favorite of all the eyeshadow brushes here. It has a nice, tapered shape, and is a bit more compact than a lot of other blending brushes, giving you a fair amount of precision. 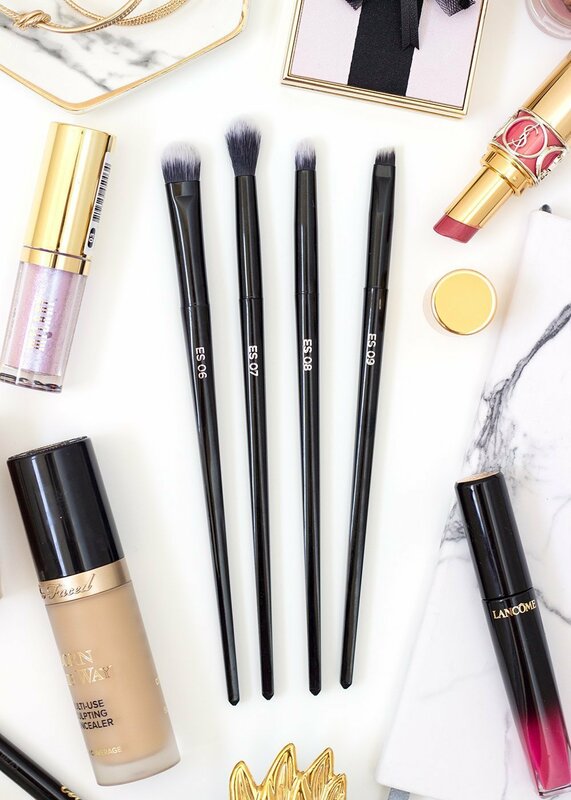 If you have smaller eyes and struggle to find a blending brush that works for you, this one might be right up your alley. This is your standard pencil brush. It’s perfect for applying color to the lower lash line or inner corners of the eyes. The taper comes to a more precise point, which I like, and the bristles aren’t overly stiff or scratchy. I was a little disappointed by this brush, if only because I find it quite thick to use for gel eyeliner. If you’re looking to create a super sharp, precise wing, you may find that to be a little challenging with this brush. That being said, it does work really well with pomades and powders to fill in sparse areas of your brows. 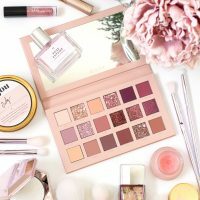 If you’re looking to buy some great brushes on a budget, I think Juno & Co. has some excellent offerings to pick from. At a $2 price point I honestly don’t think you will find better brushes quality-wise than these. They’re aesthetically very pleasing, incredibly soft to the touch, and easy to maintain. My biggest complaint overall is that I think the design of some specific brushes could have been executed more thoughtfully (like having the eyeliner brush be a bit more fine, or the foundation brush a bit more dense). As a die hard makeup enthusiast with a massive brush collection, these little details are the difference to me between a good brush and a great brush. 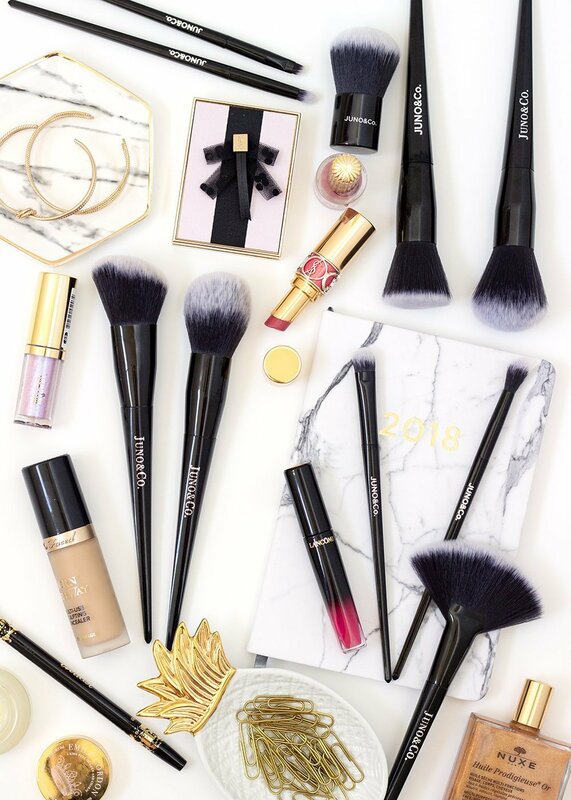 That being said, I think most people that are looking for a few reliable brushes to apply their makeup for school or work will find Juno & Co.’s offerings to be more than adequate. 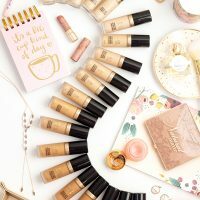 Whether you’re a teen or college student on a budget, a busy mom, or just plain curious to try out a new brush brand, I think Juno & Co. is worth checking out. 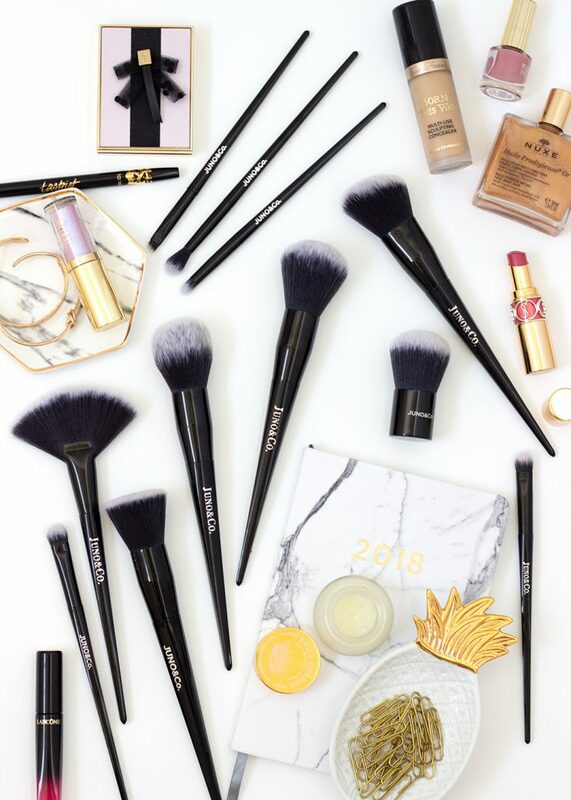 If you’ve ever tried any brushes from Juno & Co. I’d love to hear your thoughts. Let us know what you think in the comments down below!